Hunting Kiwi Style | ….The hunter ordinarily has no gallery to applaude or disapprove of his conduct. Whatever his act, they are dictated by his own conscience, rather than by a mob of onlookers…. Name’s Steve and I am pleased to be able to offer and show to you the “real” hunting experience in New Zealand. 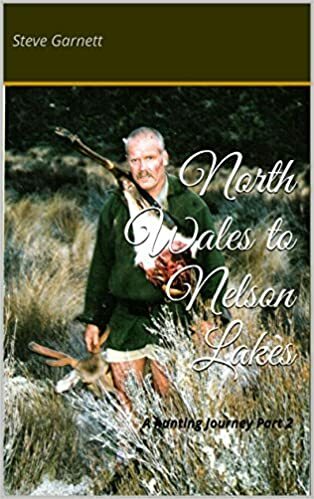 I am an ex government hunter and professional meat shooter and I have a vast knowledge of bush and alpine hunting experience to share with you. I don’t guarantee trophy animals; does anyone outside the wire? I don’t charge trophy fees and the meat is yours to do with as you please. I do take you hunting where you will see and feel the real NZ ; You may back pack in and spend nights under the stars/canvas or backcountry huts alternatively a helicopter can be used to access into even more remote country; It all really depends on your allotted, time, weather, and finance ;there is a very good chance that you will see and take good representative animals. I charge you only for my time and experience. Fitness is the key. If you are travelling and have limited amount of gear all you need to bring with you are your boots and your toothbrush. I can provide the rest. “Come into the den, and we’ll sip a wicked whiskey or two”….